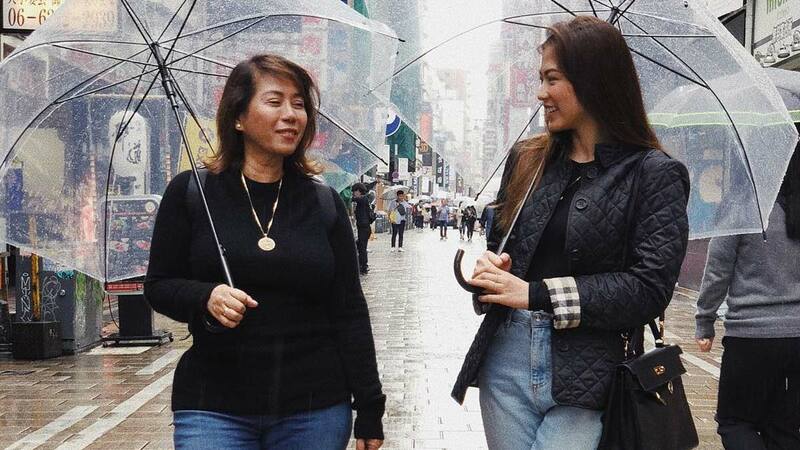 What seemed to be an innocent mother-daughter travel photo turned into a hotly-debated post when Alex Gonzaga captioned her Japan photo as, "Ang sabi nga nila: Japan, Japan sagot sa kahirapan!" 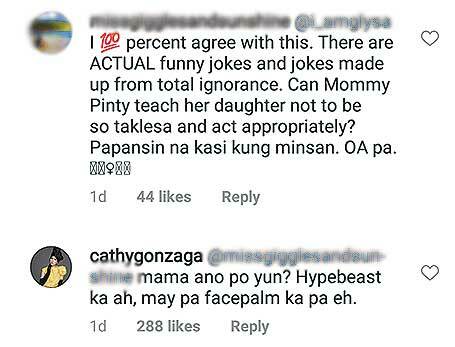 Several netizens found offense in the caption and reacted negatively to the joke. 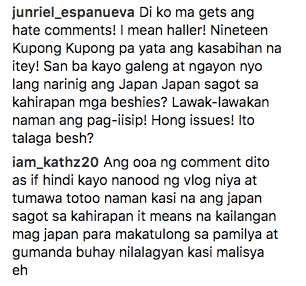 They shared their thoughts on why Alex's comment about OFWs in Japan is not supposed to be a laughing matter. 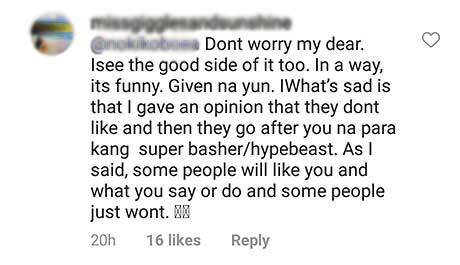 One netizen reacted to Alex's response to her comment, calling her "hypebeast," expressing dismay that she knows her opinion will not be agreed upon by everyone. This was then responded to by the 30-year-old celebrity, "Don't be too sensitive too. 'Wag lang tayo galit agad. Nag-joke lang ako wala naman akong sinirang buhay. 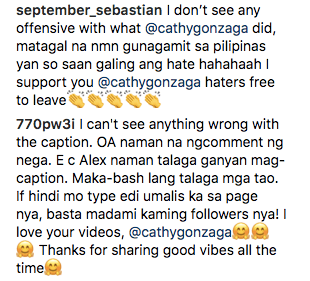 Anyway if you find me papansin and OA dahil sa caption ko, don't worry I'm used to those terms so for me it's not bullying." 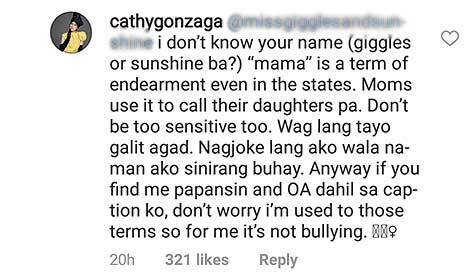 On the other hand, several netizens saw the humor in the caption and defended the comedienne on her post. In the end, the Kapamilya actress openly declared, "I respect Filipinos abroad."